Lock in a great price for Motel Venus Valladolid – rated 8.8 by recent guests! Lovely spacious room. 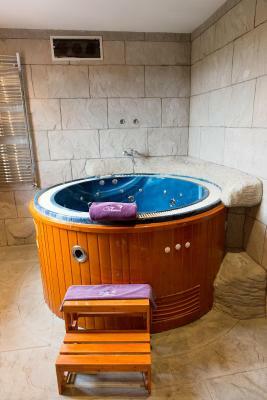 Jacuzzi bath. Massive comfy bed. Ubicación excelente y el servicio estupendo. Nos sorprendió bastante el sitio en el buen sentido y es super discreto. Lo recomendamos. Motel Venus Valladolid This rating is a reflection of how the property compares to the industry standard when it comes to price, facilities and services available. It's based on a self-evaluation by the property. Use this rating to help choose your stay! Boasting a characteristic American, motel-style ambiance, this hotel provides spa baths, LCD TVs, allowing you to relax in the company of your partner or friends. Free Wi-Fi internet is available throughout the hotel, so you can check your emails at any time. Motel Venus also features a 24-hour reception desk and room service, so you can come and go as you please at any time of the day or night. This property also has one of the top-rated locations in Villanubla! Guests are happier about it compared to other properties in the area. This property is also rated for the best value in Villanubla! Guests are getting more for their money when compared to other properties in this city. When would you like to stay at Motel Venus Valladolid? This room offers a king-size bed, free Wi-Fi, satellite TV, a DVD player and a private garage. The bathroom includes a spa bath. This spacious suite offers a king-size bed, free Wi-Fi, satellite TV, a DVD player and a private garage. 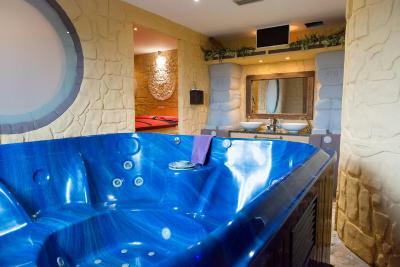 The bathroom includes a hot tub. Guests have sauna and a private garage. It includes a large bed and a waterbed. Guests have sauna and a private garage. House Rules Motel Venus Valladolid takes special requests – add in the next step! Motel Venus Valladolid accepts these cards and reserves the right to temporarily hold an amount prior to arrival. Please note that on Saturdays, Sundays, Bank Holidays and special days, guests will be able to check-in from 16:00. Consult the hotel for more details, using the contact details which appear on the Booking Confirmation issued by this site. No clear instructions on arrival. Advertised an amazing breakfast but it was just a croissant and coffee!